Being a professional in any niche, it has become a mandatory to have a linkedin profile and its even more important if you are into entrepreneurship or a social media strategist. LinkedIn has become a part of any person that is into his way out on building an online profile. Linkedin has not just become an online profile maker instead it has emerged as a job searching platform as well where you can just find out the company profiles and get an idea of the people who work on those companies. Building up a professional profile is not just filling up your portfolio, the projects you've done so far and the companies you've worked with. 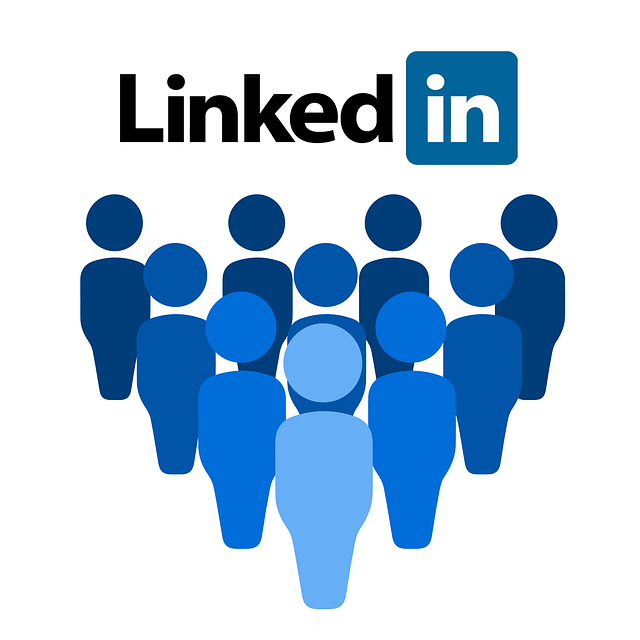 The main asset of having a linkedin profile is in building connections that might/will help you in any near future. You see, connections in linkedin are as valuable as it seems. Connecting with people may get you leads to your next going to be successful business, or sometimes some of your connections will endorse you with new technologies that you know already, some can help you with recommendations. While building up your business/personal profile, you obivously need to have a lot of connections both you know personally and virtually on the internet. Connections are important and you'll realize when you're in need of someone in your connection professionally available someday. There's one thing in linkedin that I feel a little bit typical that when you get a huge number of connections that you actually lost count, that's when the need for this arises. You'd wanna look at your connections count and you have no clue how to find the number of connections in your linkedin account. Don't worry., I've been there and this post will help you find your number of connections in simple 2 steps. Goto the "Connections" at the top menu in your linkedin profile. Once you click, you'll be redirected to your connections list page where you can view the connections in your profile. 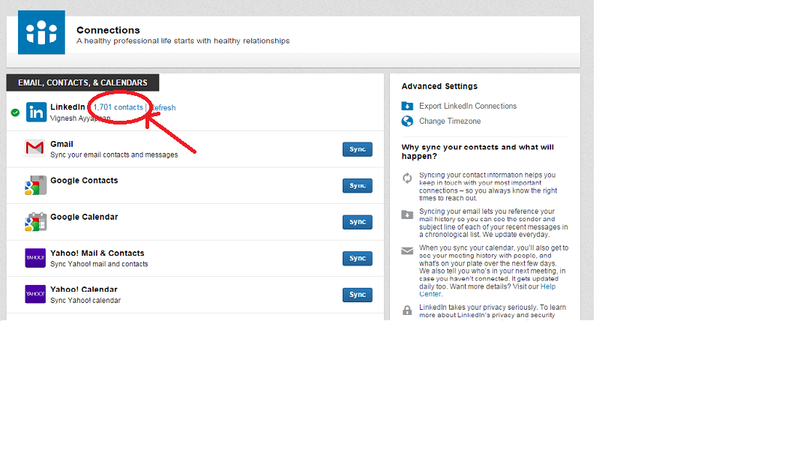 You'll find a "Settings" icon on the connections page which you should click to find out the number of connections to your linkedin profile. This will be the url for the page where you'll see the number of connections. There you go., you got your number of connections to your linkedin profile. You can also click "Refresh" button if you wanna check the up to date connections number. That's it., You got your connections number.